This beautiful material is one of several lovely fabrics I inherited from my grandmother. 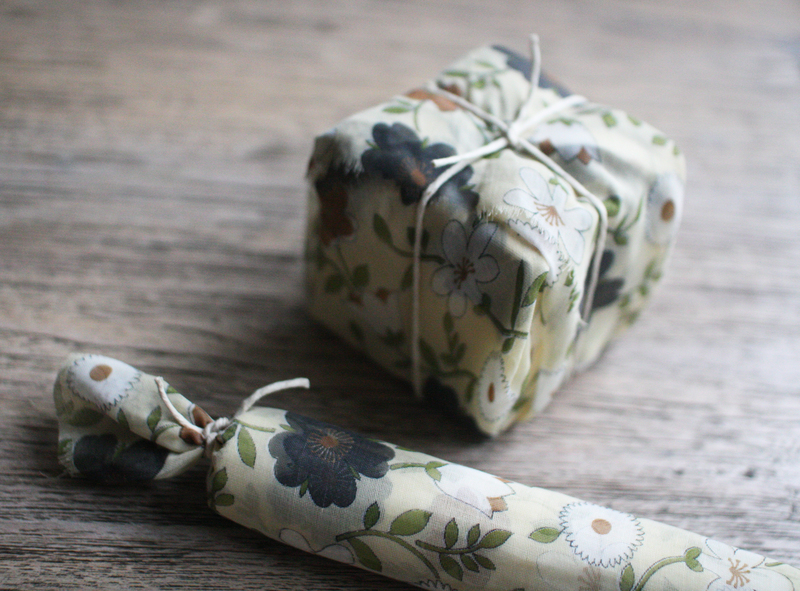 I love the Japanese tradition of wrapping gifts in furoshiki cloths, and this pretty floral pattern seemed perfect for my mother-in-law, who had a birthday this week, so I decided to use it to wrap her gifts. For the tube-shaped gift (a hanging porcelain vase), I cut a piece of fabric about 10cm longer than the tube and long enough to roll around several times (as the fabric is transparent), then rolled it up and secured it with twine at each end. The box-shaped gift (perfume) was a bit trickier. If you try to wrap with fabric as you would paper you end up with big chunky bits overlapping and loose bits flapping about! So I started in one corner and folded the fabric over diagonally, then folded in the sides, working towards the opposite corner. It can take a bit of trial and error to work out the folding technique that works for your package shape with fabric, but if it ends up looking neat(ish) and you can secure it with a piece of twine, you’ve succeeded! 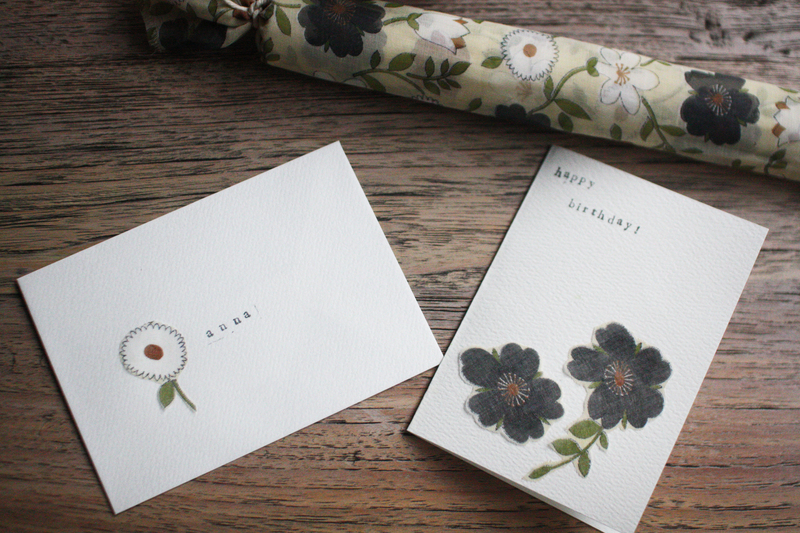 I always like to match my card to my wrapping if I can, so for this one I cut out a couple of flowers from the fabric and glued them to the front of a blank card. 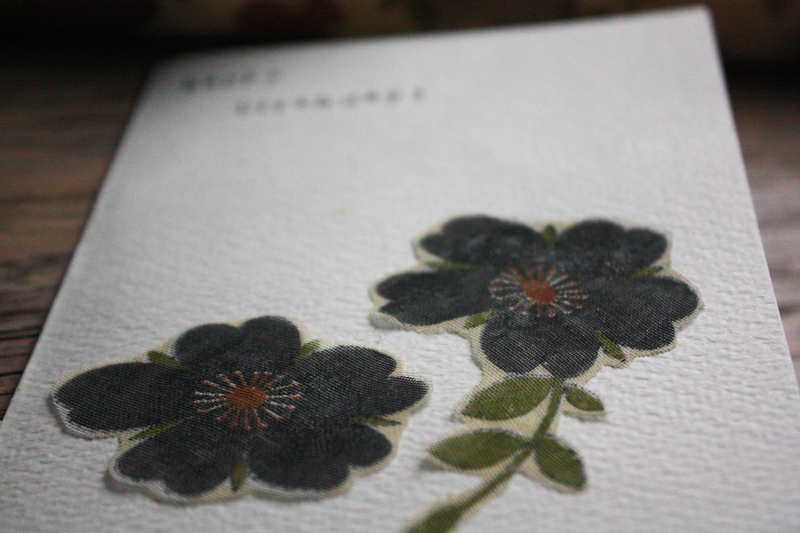 I deliberately left the edges a bit loose to give it a nice texture. Then I used my new favourite mini alphabet stamps to stamp out ‘happy birthday!’ and it was done! I made a matching envelope with another flower cut from the fabric and Anna’s name stamped out (yes, my mother-in-law and I share the same name!). She seemed to love her gifts and made special mention of the wrapping (which, after all, is just as important as what’s inside if you ask me! ), so I think it was a success! 21 Feb	This entry was published on February 21, 2012 at 8:51 am. It’s filed under wrap and tagged wrap. Bookmark the permalink. Follow any comments here with the RSS feed for this post. Very pretty. I received a lovely present today, but it was the way it was wrapped that particularly touched me…my friend had wrapped it in an old chiffon scarf that was her Mum’s. How gorgeous is that? Hi Kylie! That is such a lovely idea! The wrapping can add so much to a present, can’t it? Absolutely beautiful – I love what you’ve done here. As a gift giving idea, one year I bought for a friend’s 40th, 40 gifts for 40 birthdays…it took me around 6 months to put together. There were all sorts of things relevant to turning 40 and her birth year of 1965. I then wrapped each gift individually in different coloured paper (all solid colours like blue, orange, red, yellow etc) and then placed them in a lovely black storage box….so when she opened it, it was an explosion of colour. It was a fun ‘project’ to do. Hi Ruthy! What an amazing gift for your friend! She must have been blown away, and the unwrapping process would have been so fun! 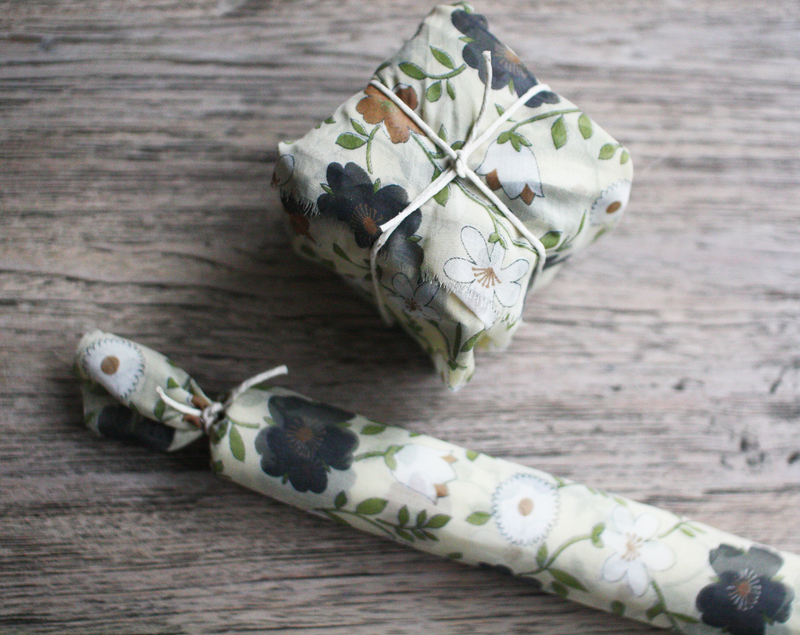 I did something similar for my friend’s 30th last year (I wrote about it here: http://mrsparrowblog.blogspot.com.au/2011/06/pass-parcel.html) – I did kind of a pass the parcel thing where I wrapped each present into a new layer. It was so much fun! Love the matching card and giftwrap!